If you like yards sales, then it’s likely that you are already aware of the World’s Longest Yard Sale which takes place each August. This sale runs 654 miles from Gadsen Alabama through Covington Kentucky along Highway 127. However, the “world’s largest” yard sale isn’t the only really big, really cool yard sale in America! The Great U.S. 50 Yard Sale is about to have its 5th annual run in May. This coast-to-coast yard sale started in the year 2000 and stretched across Indiana. The goal is for it to run along U.S. 50 from the East Coast to West Coast. The Great U.S. 50 Yard Sale is currently in the organizational stages for this year. In fact, they need many organizers to help connect the sale from county to county across the country. 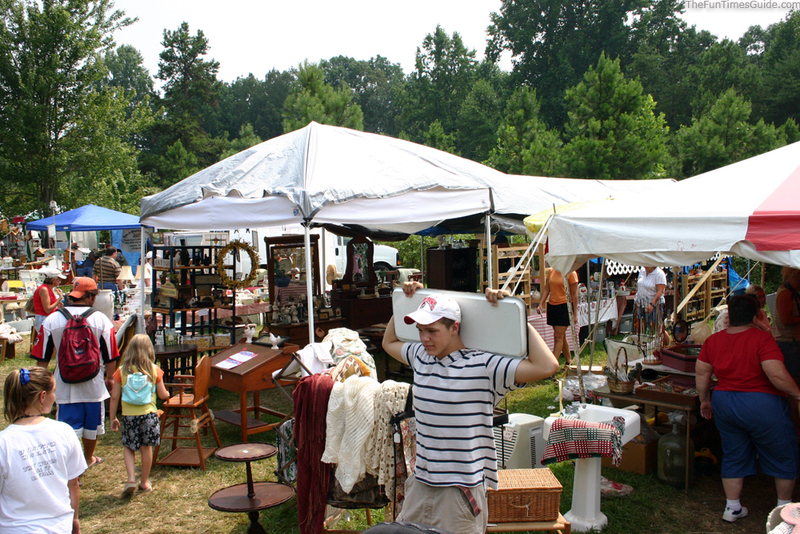 To get involved, find out where to shop, or to learn more about the sale, visit the Great U.S. 50 Yard Sale website. If you are looking to join a ginormous yard sale, but don’t live on a major thoroughfare, you might consider joining the Corneila de Lange Syndrome Foundation’s Yard Sale Across America in June. This is a charity yard sale, where you can sell your items in the name of the foundation and then send the proceeds to a charity that helps children with this genetic defect. Here’s more about the CdLS foundation, plus Yard Sale Across America guidelines. If you are not into standing around hoping people purchase your stuff, or if you don’t want to drive all day to find cool items to buy, you should consider joining the Just Between Friends Consignment Sale. Just Between Friends is a nationwide consignment sale with sale sites in many cities across the country from March through June each year. This is actually a franchised business, but it is also a wonderful way to buy goods and clothing for children. It is booked as “the world’s largest consignment sale” and gets a lot of coverage on the major news networks, so keep your eyes and ears open for a sale near you. If there are others that you know about, feel free to post them in the comment below! And, of course, there’s always Craigslist and Freecycle for listing or finding items online and in your local area. Of course, Freecycle is only for FREE stuff, but many people don’t realize that Craigslist also has a FREE section under the classifieds section for each city.